Yesterday I posted this year’s Coffin Hop contest and asked you what your favorite Halloween tradition is. As for me, I have a lot of favorite traditions, from decoration to creating creepy treats and drinks. But one tradition that I can never pass up is carving pumpkins! 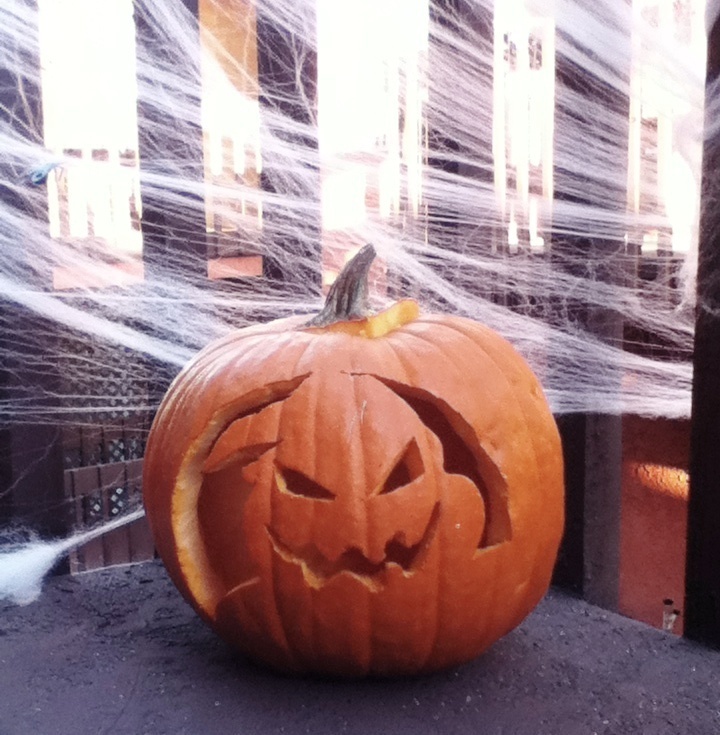 This year, I carved the Oogie Boogie Man from The Nightmare Before Christmas. Happy Coffin Hopping! And don’t forget to enter the contest: it’s really easy, and you have multiple chances to win a free book! Holy cow! That’s a super cool pumpkin! 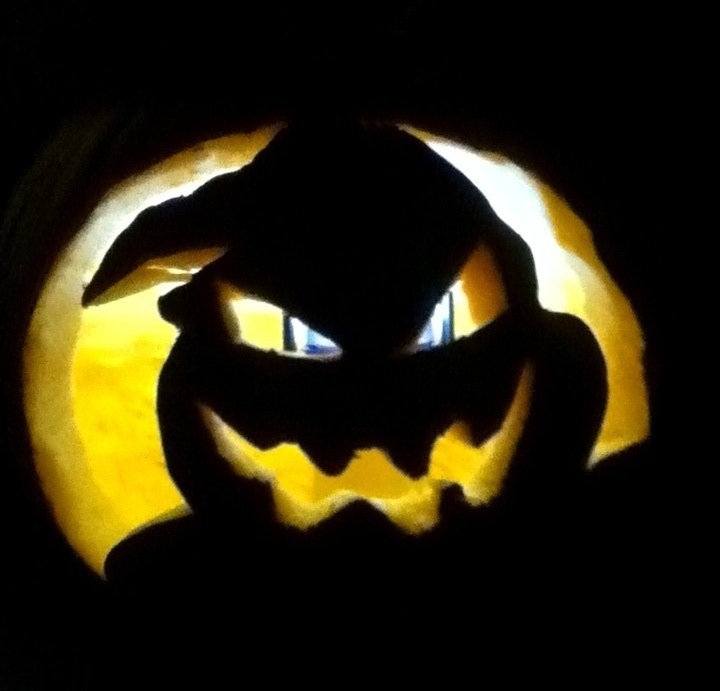 I want one =( Mr. Oogie Boogie is my favorite bad guy.